As I said last week when the Miami Dolphins re-signed defensive tackle Ryan Baker, the former undrafted free agent offers a familiar body for depth purposes but essentially no upside. "I suspect Baker is on a week-to-week basis with the club and probably won't make it the entire season without being released at some point," as I put it. It turns out Baker made it exactly one week, as the Dolphins waived Baker exactly seven days after signing him. To fill his roster spot, the team signed free agent defensive tackle Andre Fluellen, who played college football up the road at Florida State and was formerly a member of the Detroit Lions. Fluellen likely signed a one- or two-year contract for the veteran minimum or close to it, as he too will be on a week-to-week basis with the team. He will wear Baker's No. 90 in practice and in games if he is activated. A Cartersville, Ga. native, Fluellen played high school football at the same school as former Dolphins' running back Ronnie Brown, although their time there did not overlap. He chose to attend FSU over Florida, committing to the defensive side of the ball after playing both ways as a prep player. After totaling six tackles in 12 reserve appearances for the Seminoles as a redshirt freshman in 2004, Fluellen moved into the starting lineup and remained there his final three seasons. He played in 47 games during his collegiate career while starting 27, racking up 81 tackles (18 for a loss), five sacks and five pass deflections. 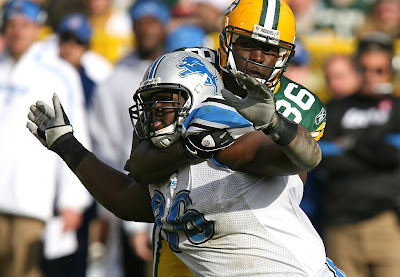 Drafted in the third round (87th overall) by the Detroit Lions in 2008, Fluellen played in eight games (two starts) as a rookie and recorded seven tackles and as pass deflection working at both tackle and end on the defensive line. In 2009, Fluellen set personal highs that remain to this day, starting 14 games (three starts) and totaling 18 tackles and 1.5 sacks. He started zero of 29 games played over the last two seasons, recording just 21 tackles and a sack (in 2010). After amassing seven tackles and a sack in the 2012 preseason, Fluellen was released during final cuts when the team opted to keep five defensive ends rather than five defensive tackles. Ineligible for the practice squad due to NFL experience, Fluellen was a free agent the first two weeks of the regular season. Fluellen initially worked out for the Dolphins on Tuesday, Sept. 18, beating out fellow free-agent defensive tackles Remi Ayodele (brother of former Dolphins' linebacker Akin Ayodele) and Daniel Muir for a contract. The Dolphins obviously had seen all they needed from Baker, who as I've said before doesn't really offer any upside. The team is obviously content with seventh-round rookie Kheeston Randall as a rotational player and it appears they'd rather bring in a fresh face to observe rather than continue with Baker. Fluellen is a capable backup with NFL experience, although he has to be considered a disappointment as a former third-round pick that hasn't started a game since 2009. He obviously didn't come close to solving the Lions' woes at the position, which is why they've invested so heavily over the past couple years with Corey Williams and draft picks Sammie Hill, Ndamukong Suh and Nick Fairley. A better pass rusher than run stuffer, Fluellen will attempt to take to defensive line coach Kacy Rodgers' tutelage well, or his time in Miami could be short. With Tony McDaniel still on the shelf with an ankle injury, Fluellen could get a chance to mix in as a reserve against the Jets and potentially earn a longer stay with the team.